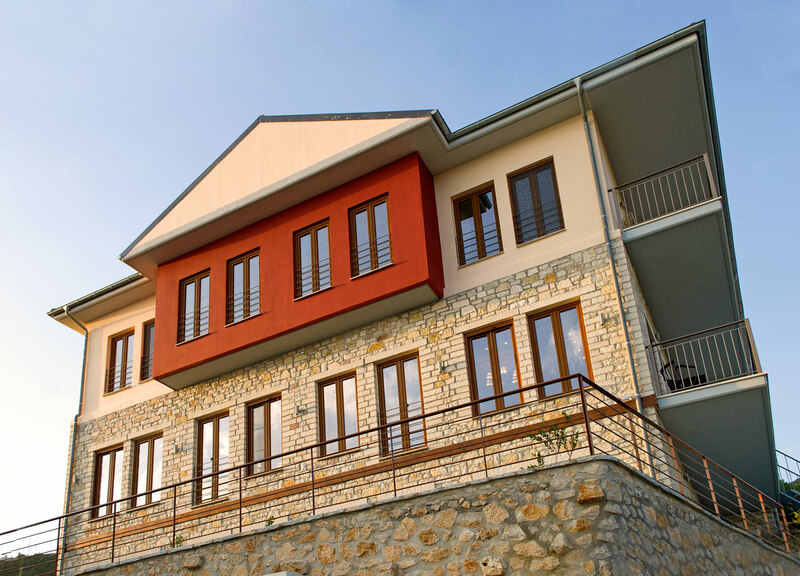 Arktos Βoutique Hotel, with exceptional views in an altitude of 950 meters above the basin of Ioannina city in the traditional village of Liggiades. Arktos Βoutique Hotel, surrounded by an exciting natural scenery, the two buildings with attention to the details and to modern comforts, fully harmonized with the local architecture of Zagorohoria. Consisting of 10 rooms and 2 suites it combines luxury with comfort. Decorated in natural tones its ready to satisfy the senses during your stay. Traditional greek hospitality, beautiful scenery and views will make your stay an unforgettable one!